"She was a lucky lady to have such devoted daughters. My..."
"Jeanne, Sorry to hear of your mothers passing. My sincere..."
"Heartfelt sympathy goes out to the family and friends..."
" Our thoughts and prayers are with all of you ❤"
"Hello Girls, I am sorry to hear about your Mom she was a..."
PORTLAND - Catherine Josephine "Catty" Goddard, 87, died peacefully on Friday, Oct. 26, 2018 at the Barron Center following a long illness. She was surrounded by her loving daughters and family. 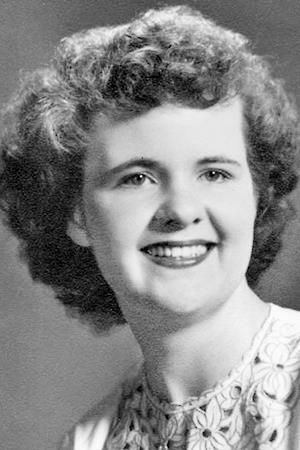 Catty was born in Portland, Maine, on Feb. 8, 1931, the daughter of the late Patrick J. and Mary Catherine (Lyden) Beatty. 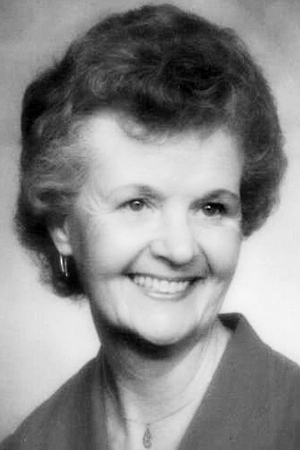 She attended local schools and graduated from Portland High School in the class of 1949. On Oct. 20, 1951 she married Robert W. Goddard at St. Dominic's Catholic Church in Portland where she had been a lifelong communicant. Catty spent her early years focused on raising her family, once the girls were all in school she went to work doing several different clerical jobs before going to work for the United States Postal Service, retiring on Dec. 3, 1993 after 13 years of service. She was an avid Boston Red Sox and a New England Patriots fan. She enjoyed traveling to Florida with her husband, and for many years going to New York and Boston to see a Broadway Show. Catty was a person who just loved being in her home. Her greatest love was the time she spent surrounded by her family, especially her grandchildren for whom she would never miss a sporting event. Catty will long be remembered as a loving and kind person, strict but fair with a good work ethic which she passed on not only to her children but her grandchildren as well. The family would like to extend a special thank you to the staff and care givers at the Barron Center for the love and kindness given to their mother. Catty was predeceased by her husband, Robert W. Goddard in 1992; two sisters, Mary and her husband Lincoln Sloan, and Bridget and her husband Thomas Kelley; two brothers, Patrick and his wife Marilyn Beatty, and John and his wife Edna Beatty; a son in law, Bernie Orne. She is survived by four daughters, Mary and her husband Joseph Foley of Portland, Susan and her husband Mark Corthell of North Yarmouth, Janie Orne of Windham, and Jeanne and her husband Joe Capozza of Falmouth; nine grandchildren, Kathryn Foley, Joseph Foley, Alison Corthell Hayden, Jennifer Corthell Barns, Robert W. Goddard-Wright, Joseph Capozza, Katie Capozza Babcock, Tia Capozza Green, and David W. Grant; thirteen great grandchildren; special nephew, Brian Beatty; many nieces and nephews.